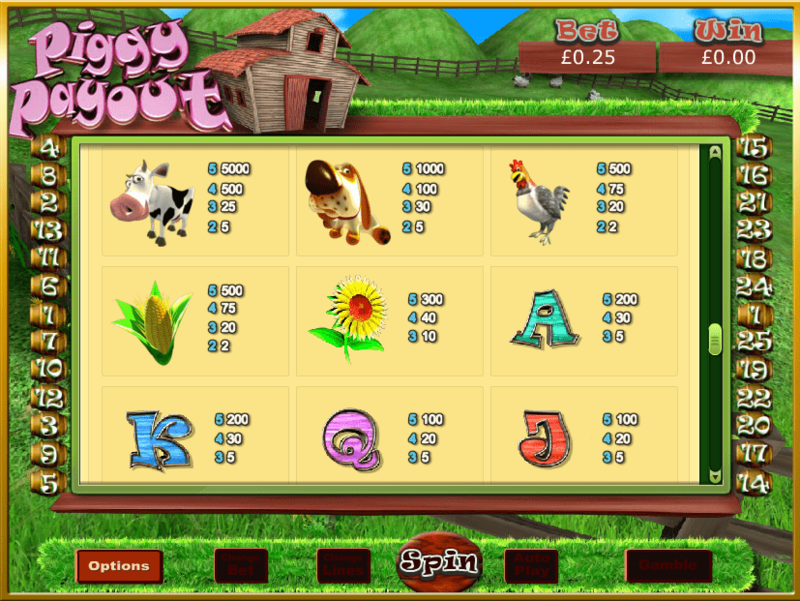 This slot by Eyecon encapsulates all the fun of the farm! Waddle through the mud as you frolic with adorable piglets, and admire the natural beauty of the countryside. Rolling hills covered in luscious green grass expand into the distance, forming the playground for the pigs and their farm friends such as sheep, goats, and dogs. Piggy Payout has been one of Eyecon’s most loved slots, and now you have the chance to play it with 3 progressive jackpots! Found in 1997 Eyecon are behemoths of the online gaming industry. They have an expansive portfolio of popular slots which hold international appeal. Their slots are frequently ranked in the Top 10 games of the year by various gaming platforms, demonstrating that their years of experience have been combined with an innovative outlook to remain at the forefront of the industry. This is a 5 reel, 25 payline slot from Eyecon, with an RTP of 90.00%. Players can choose how many of the 25 lines they wish to activate. This slot retains all the much-loved features and characters of the original Piggy Payout slot, but this version also offers you the excitement of a progressive jackpot – the more coins paid in, the larger the jackpot grows! There are three progressive jackpots in this game – mini, maxi, and mega – and the seeding for each is on the basis of £10, £100, and £2500. We've compiled a guide for players in search of the best slots based on bonus features and read more. The minimum bet is a small 0.01 per spin, meaning the farm is open for everyone to enjoy! A maximum stake of 12.50 is available. There are two Scatter symbols in this game. One of them is, of course, the cute pig himself. If three porkers appear on screen at a time, you will be rewarded with free spins during which time any winnings will be doubled! 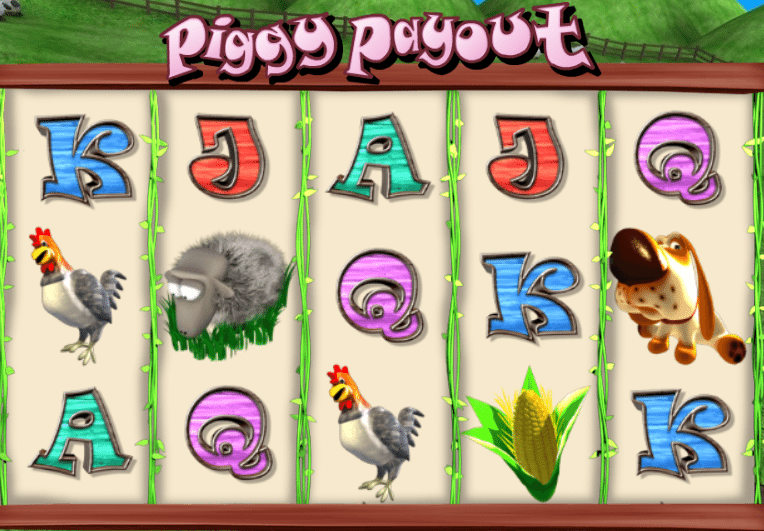 3 pigs wins you 15 free spins, 4 gives you 20, and 5 secures you 25! The second scatter symbol is the fluffy sheep – if 3 of these guys appear on screen, you will be taken to a Prize Pick round where you can win up to 100x your total stake! In addition to the two Scatters, keep an eye out for the Windmill which is the Wild symbol in this slot. It can substitute in for other symbols to help you secure winning combinations, and will double your winnings every time it is part of a winning line. A gamble feature is also available, to help you maximise your winnings. This game is packed full of bonus features, and having two Scatters as well as a Wild symbol increases your chances of triggering bonus play. The addition of a progressive jackpot has only added to the excitement of this already popular slot from Eyecon. 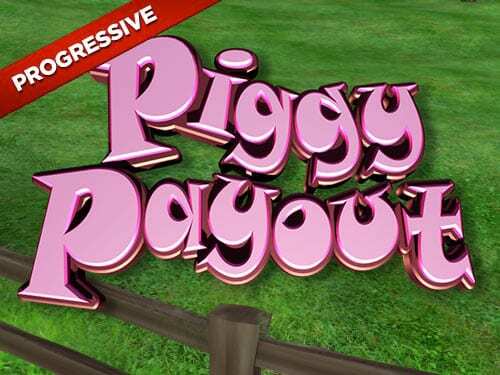 Fans of Piggy Payout will be pleased to know that the progressive version still retains the charm and much-loved characters of the original version. Indeed, the idyllic farm background and adorable farm animals are one of my favourite things about this cute slot.